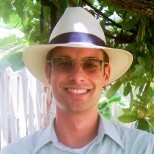 Roger Drouin is a freelance environmental journalist and author. He covers species conservation, from bats to snow leopards, and energy issues. His work appears in Scientific American, Yale Environment 360, Mother Jones and Grist.org. He blogs at www.rogersoutdoorblog.com.